An assortment of horror veterans take part in TERROR TALES, an anthology horror feature coming next month. We’ve got an exclusive peek at the trailer and poster art. 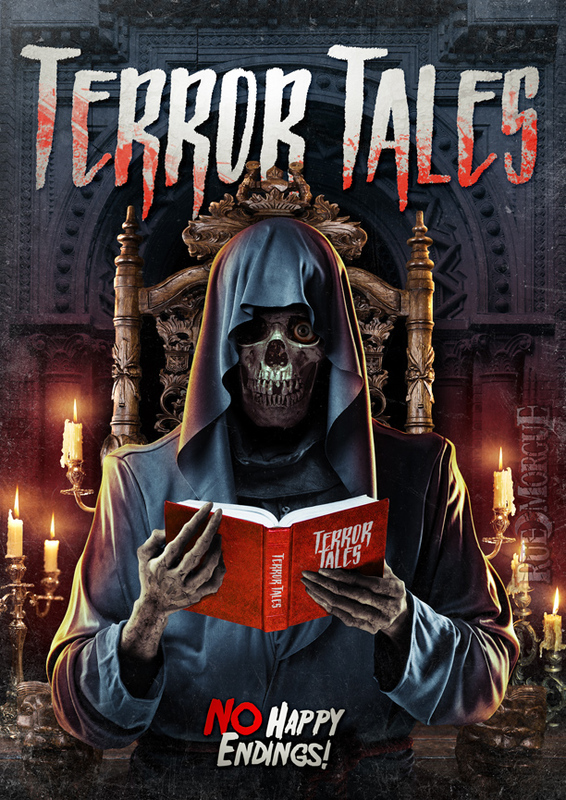 Written and directed by Jimmy Lee Combs, TERROR TALES will be released to VOD January 8 by High Octane Pictures. The cast includes Christopher Showerman, Lynn Lowry (SHIVERS), SLEEPAWAY CAMP’s Jonathan Tiersten and Felissa Rose, Yan Birch (THE PEOPLE UNDER THE STAIRS), Laurene Landon (MANIAC COP), Jennifer Runyon (CARNOSAUR), Ari Lehman (FRIDAY THE 13TH), Ashley Park (ROSEWOOD) and Helene Udy (THE DEAD ZONE). The synopsis: “When Michael wakes up, he is horrified to find that he is riding shotgun with a psychopath [Showerman] who reveals to him that his wife and daughter are held captive in the attached cargo trailer. The trailer is rigged to release a deadly toxin when triggered by a switch in the car. Thinking of his family’s safety, he cooperates with everything the psychotic driver asks him to do even if it means breaking the law. Michael, twice in one month? You’re the best (and I don’t mean just in bed).